Designed by B. Marcus Priteca, the almost 2,700-seat Art Deco Pantages Theatre opened in Hollywood in 1930. Following a detailed restoration by its current operator, the Nederlander Organization, the lavish auditorium and its stunning lobby dazzle audiences today with a constant run of touring musicals and concerts. 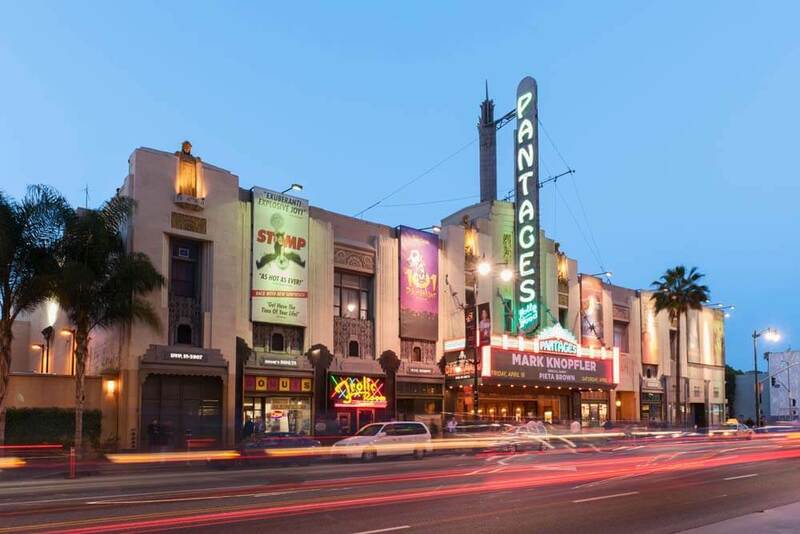 The Pantages Theatre is one of the enduring symbols of Hollywood’s golden age where the Academy Awards and numerous glamorous movie premieres have taken place. Spectra Company worked with Nederlander Organization to complete the façade restoration and restoration of many other historic materials.